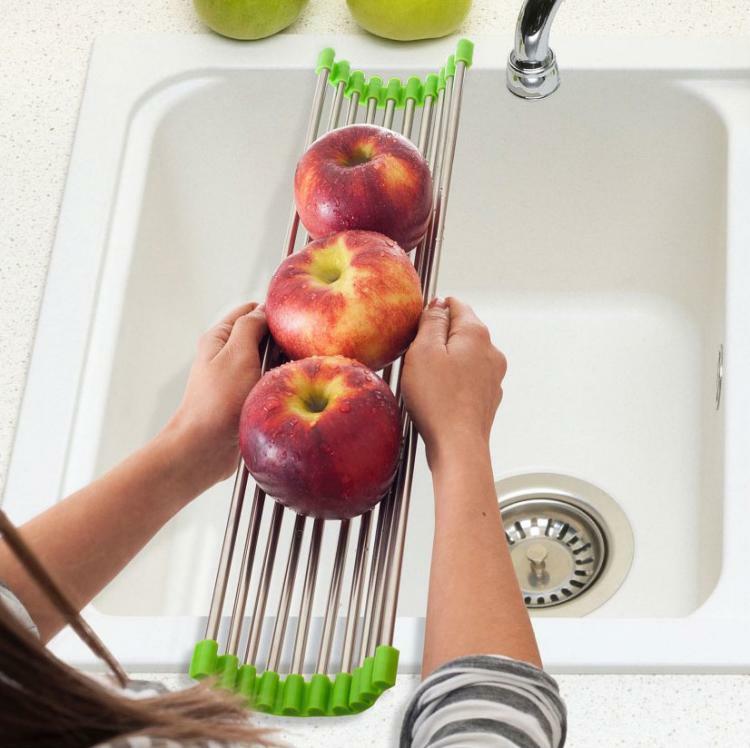 The over the sink roll up drying rack is a device that you can place on your sink and unroll whenever you need to dry some dishes, clean rinse off some fruit or vegetables. 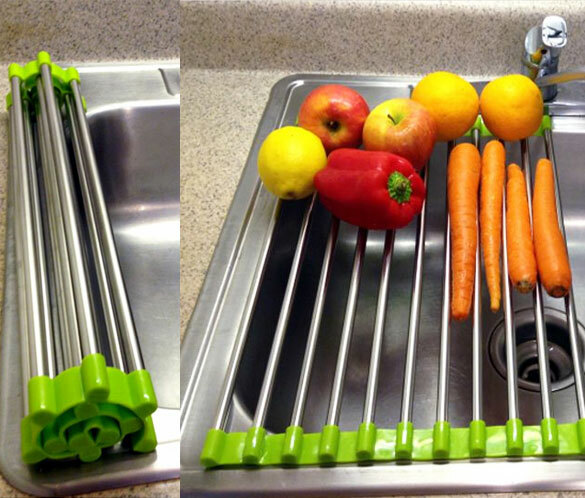 Perfect for the home gardener, person who doesn't own a dishwasher, or really anyone who buys a lot of fresh produce at the market, the roll-up drying rack will also add a sleek and modern touch to your kitchen. 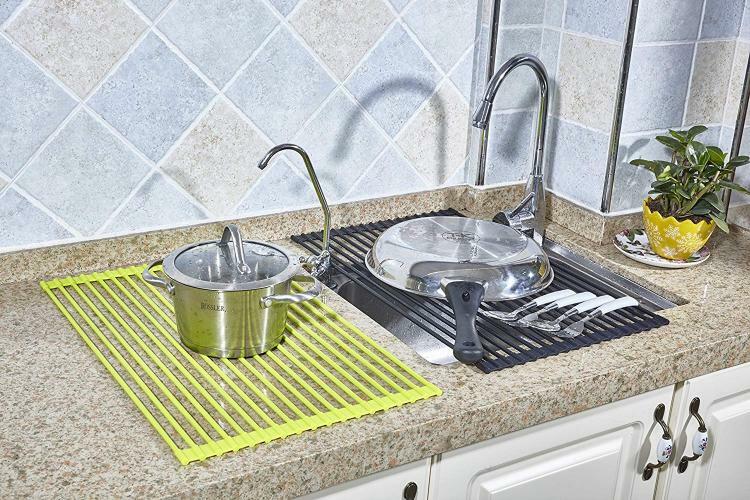 To use the roll-up rinse and drying rack, just unroll it over your sink, and you'll be left with a spot to rinse your foods or dry some dishes while everything drips right into your sink. 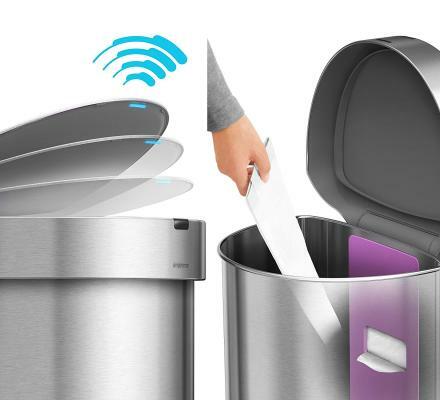 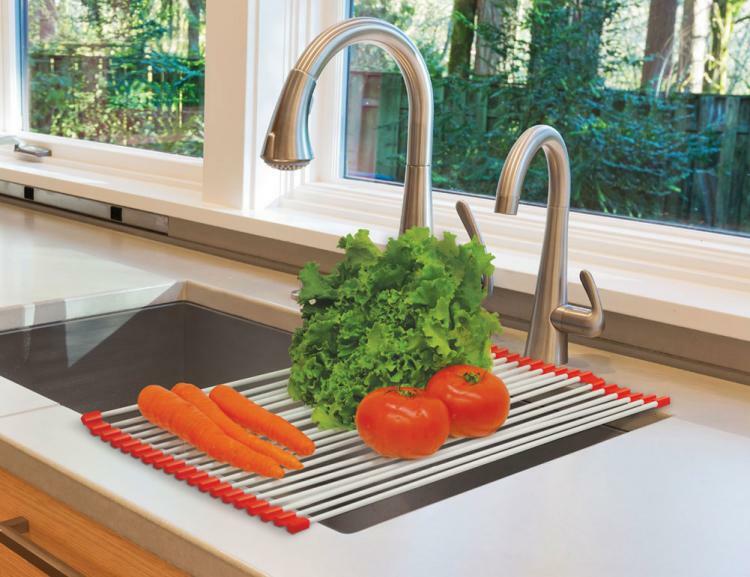 You'll be able to dry dishes without leaving a bunch of water left on your counter. 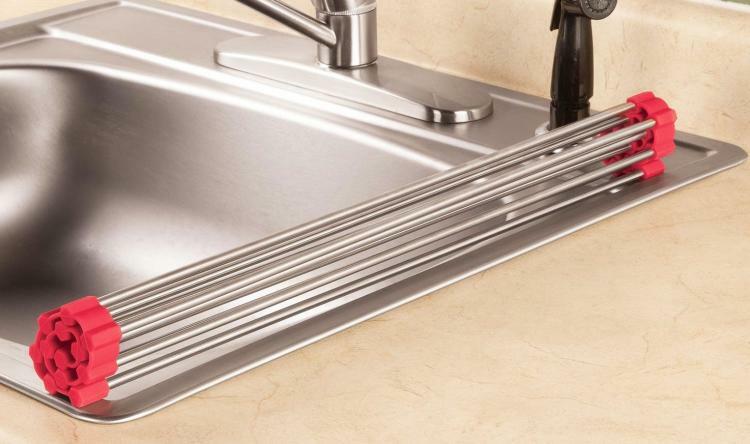 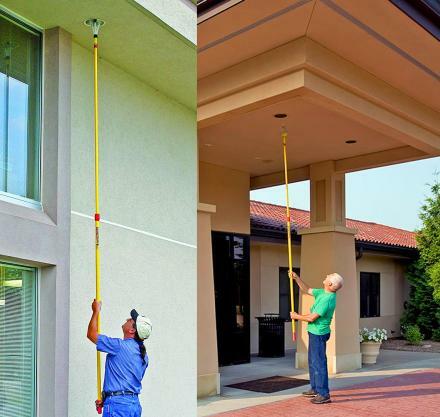 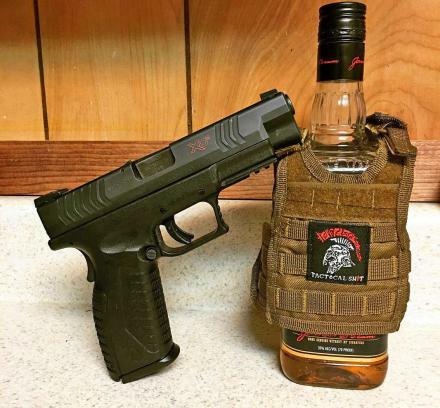 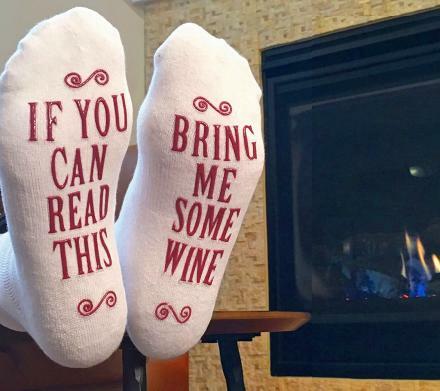 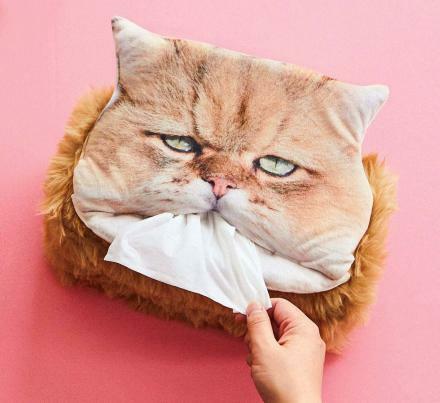 Since it's made from non-slip material, it'll grip to the sides of your counter/sink so it won't slip around when you use it. 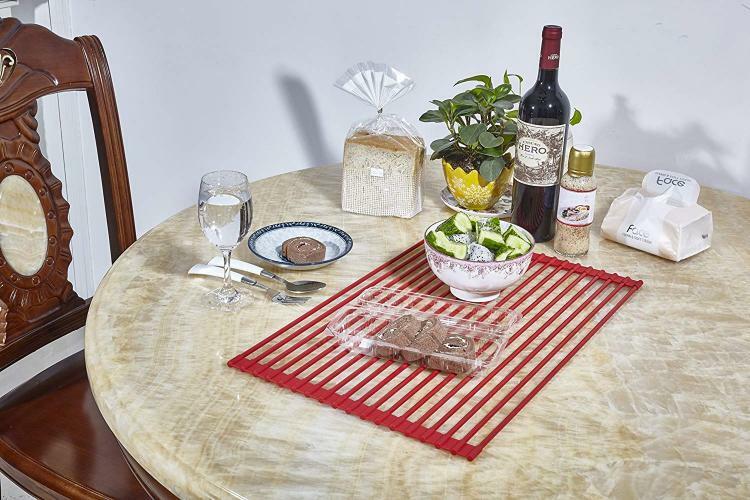 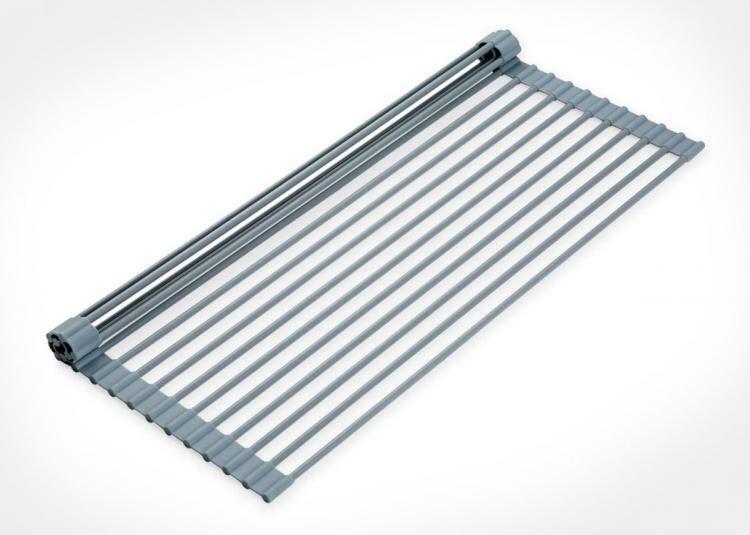 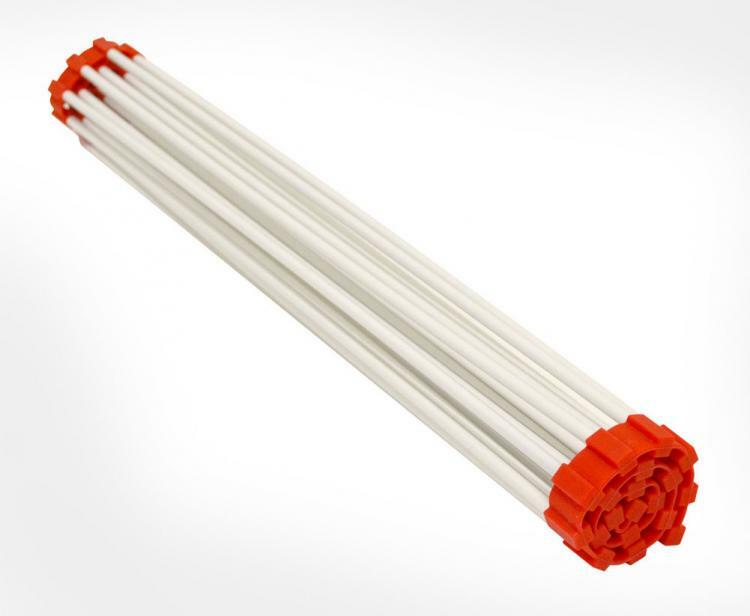 The roll-up rack has four main functions, for one it can be used as a trivet to hold hot dishes on a table or counter without any damage to your furniture. 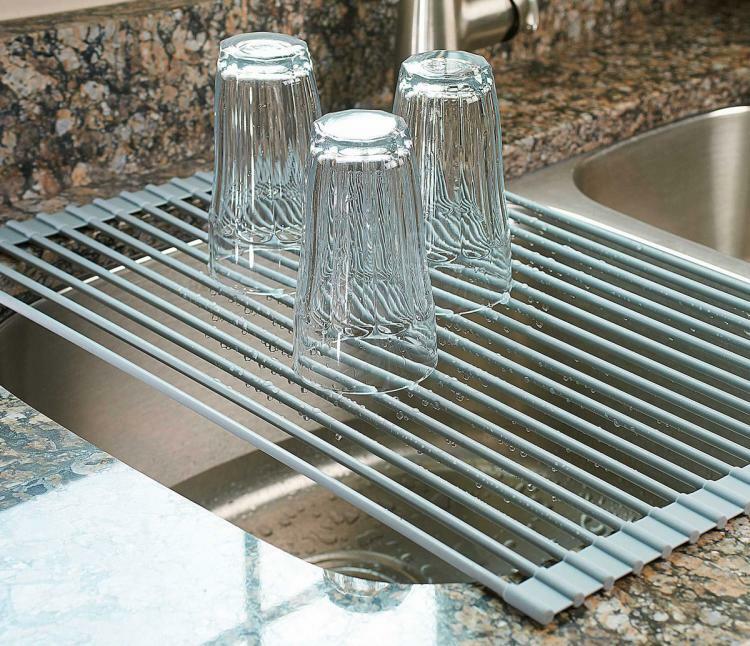 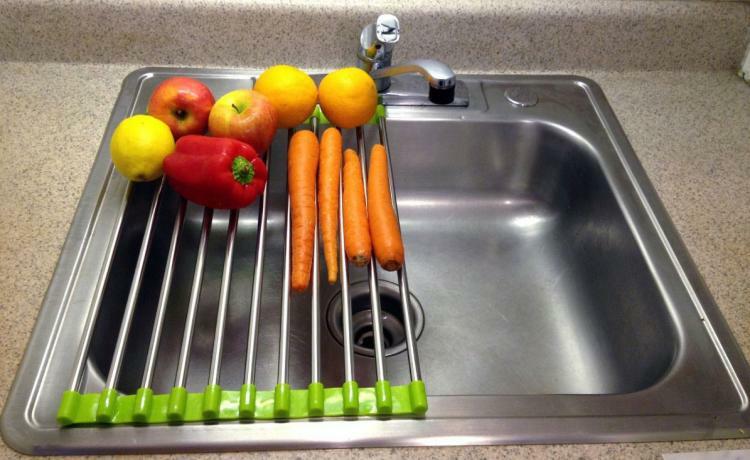 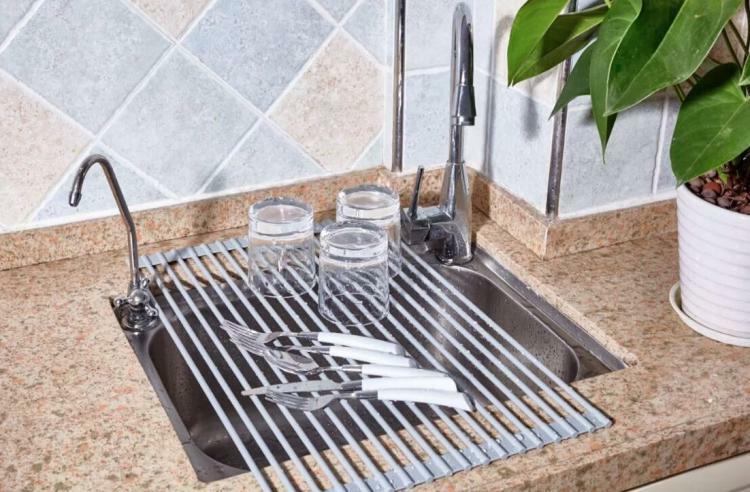 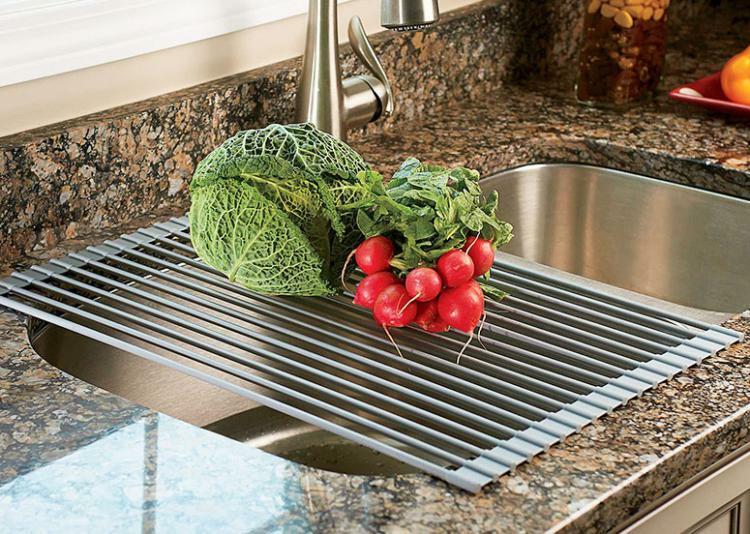 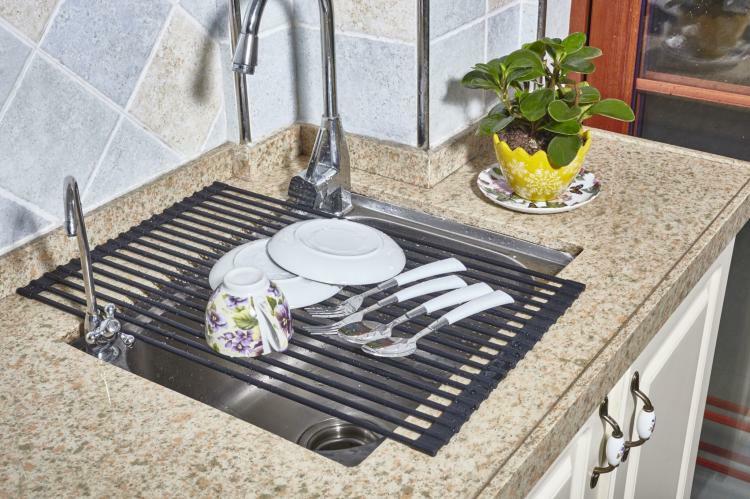 The rack can be used as a colander to rinse your food under the faucet. 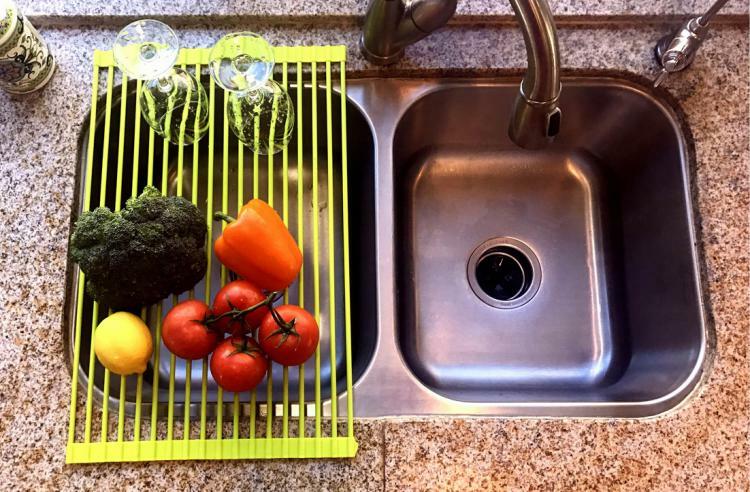 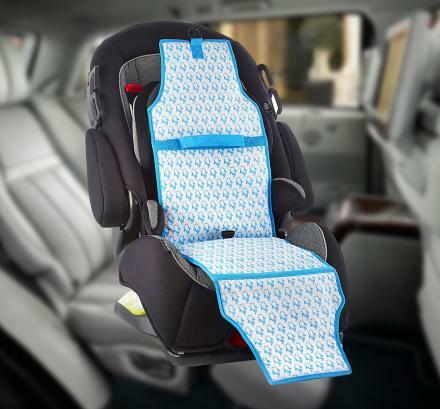 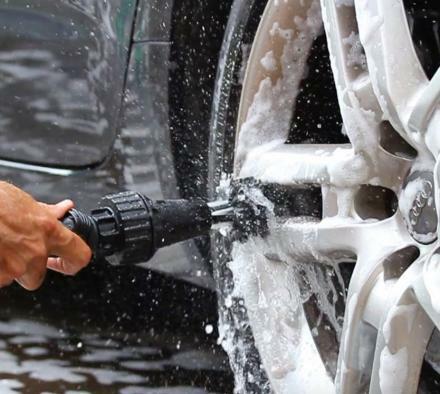 It can be used as a prep-station, and of course to be used as a drying rack. 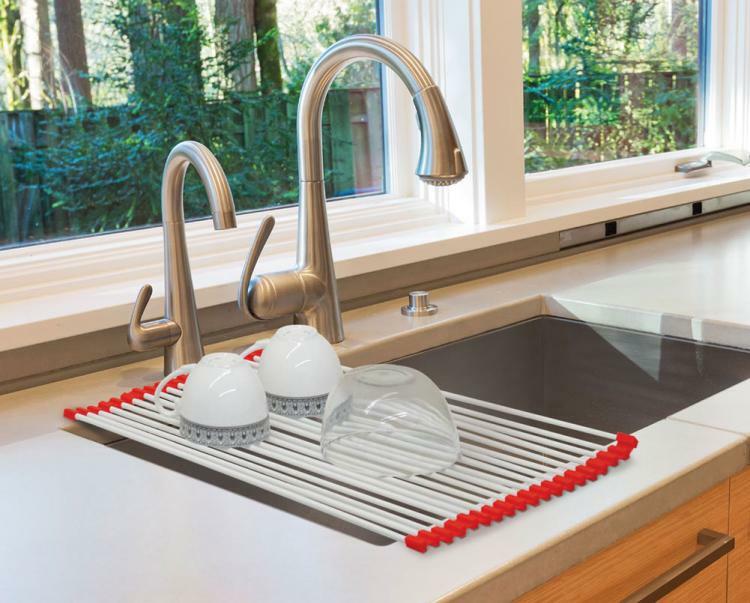 The roll-up sink drying rack is made from a rust-resistant non-slip silicone surface that's BPA-free, along with coated steel. 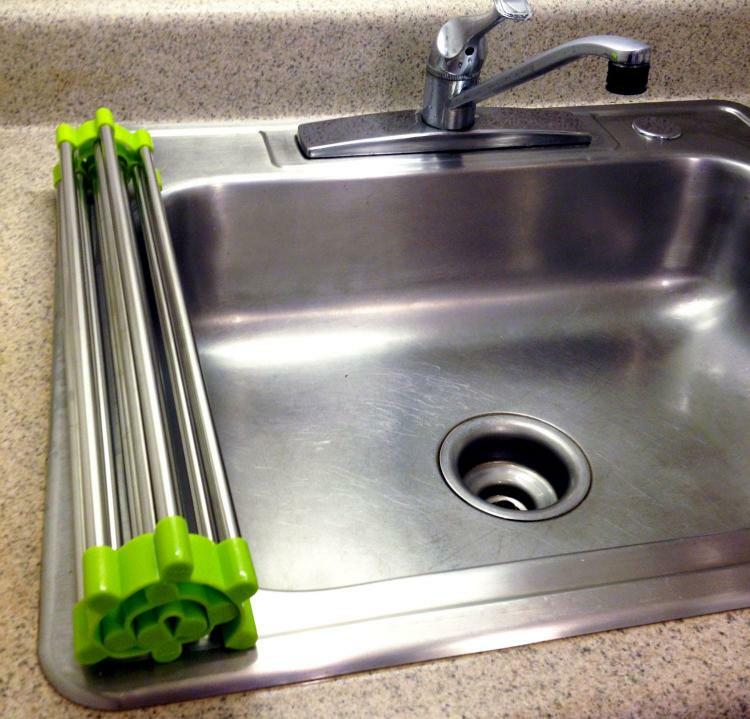 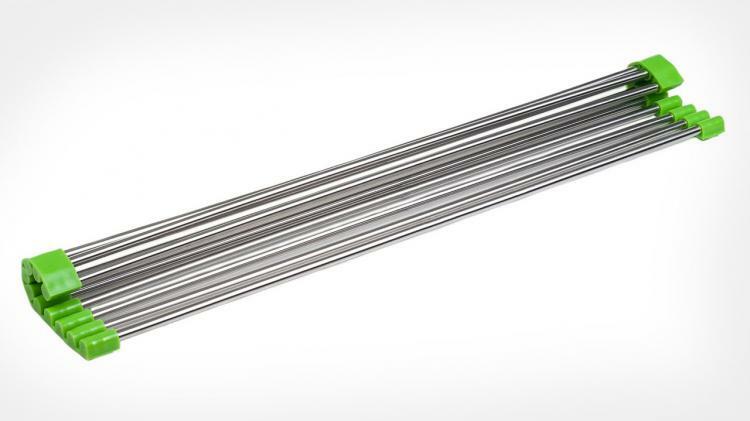 The roll-up drying rack is also dishwasher safe, so you can easily throw it in to clean it after you're done using it, and it's heat-resistant at up to 400 degrees F.
Check out the over the sink roll-up rinsing and drying rack in action via the video below.